On May 9, 2018, Network-1 Technologies, Inc. filed a combined petition for panel rehearing or rehearing en banc with the United States Court of Appeals for the Federal Circuit, requesting reconsideration of the panel’s decision in a consolidated appeal from inter partes review decisions relating to four of Network-1’s patents. Gregory S. Dovel and Sean Luner of Dovel & Luner, LLP, and Charles R. Macedo and Jung S. Hahm of Amster, Rothstein & Ebenstein LLP were authors on the brief. The decision on appeal turned on the construction of a term of art, “non-exhaustive search,” in the field of database search algorithms. Below, the Board’s construction was supported by the specification and the Board’s factual findings—based on objective evidence and credibility determinations—on what “non-exhaustive search” means in the field. Applying its construction, the Board confirmed the patentability of most of the claims challenged in the IPRs. On appeal, the Federal Circuit panel reversed the Board’s construction, vacated in part and remanded those IPR decisions with respect to claims using this term of art. Google LLC v. Network-1 Techs., Inc., No. 16-2509, slip op. (Fed. Cir. Mar. 26, 2018) (nonprecedential) (“Opinion”). As set forth in the Petition, the panel’s decision conflicts with Federal Circuit precedent controlling how to interpret claims under the broadest reasonable interpretation standard. It further conflicts with Supreme Court law, and APA statutory provisions, requiring the Federal Circuit to defer to facts found by the Board and forbidding appellate courts from going beyond the record to find entirely new facts on appeal. This decision raises due process concerns for both patent owners and petitioners. A summary of the issues raised in the petition for rehearing is provided below. The complete petition is available on our website. Amicus briefs in support of the petition are due by May 23, 2018. “Even under the broadest reasonable interpretation” a construction “cannot be divorced from the specification and the record evidence.” Microsoft Corp. v. Proxyconn, Inc., 789 F.3d 1292, 1298 (Fed. Cir. 2015) (internal quotations omitted). A construction does not become “reasonable” merely because it is broad and nothing in the record precludes it; to be reasonable, a construction must have affirmative support. “The correct inquiry in giving a claim term its broadest reasonable interpretation in light of the specification is not whether the specification proscribes or precludes some broad reading of the claim term …. And it is not simply an interpretation that is not inconsistent with the specification. It is an interpretation that corresponds with what and how the inventor describes his invention in the specification….” In re Smith Intl., 871 F.3d 1375, 1382-1383 (Fed. Cir. 2017) (internal quotation marks omitted); In re Power Integrations, Inc., 884 F.3d 1370, 1377 (Fed. Cir. 2018). Despite this clear precedent, the panel adopted Google’s construction because it was broader and not inconsistent with the Specification. This is a clear error. Indeed, the panel concluded that Google’s broad construction of “non-exhaustive search” was not supported by the intrinsic or extrinsic record. Opinion *14. Under controlling Federal Circuit law, that lack of support should have ended the issue. In re Smith Intl., 871 F.3d 1375, 1382-83 (Fed. Cir. 2017); In re Power Integrations, Inc., 884 F.3d 1370, 1377 (Fed. Cir. 2018); Microsoft Corp. v. Proxyconn, Inc., 789 F.3d 1292, 1298 (Fed. Cir. 2015). The Federal Circuit’s precedent prevents the BRI standard from swallowing patent validity. A patent challenger can always assert some broad interpretation that, although not affirmatively supported by the record, is at least not precluded. Having found nothing in the intrinsic or extrinsic record to support Google’s broad construction, the panel improperly turned to a third source of support: its own de novo fact finding on appeal. The panel grounded its decision on an entirely new and erroneous technical fact, not raised below, about how search algorithms operate. Opinion *14 (“without considering all data within all possible matches, a search of features is not guaranteed to find an existing match or a near-match.”). But “appellate courts must constantly have in mind that their function is not to decide factual issues de novo.” Teva Pharm. USA, Inc. v. Sandoz, Inc., 135 S. Ct. 831, 837 (2015). If this Court “cannot evaluate the challenged agency action on the basis of the record before it,” the case must be remanded to the Board to hear more evidence and find additional facts. Fla. Power & Light Co. v. Lorion, 470 U.S. 729, 744 (1985). The panel’s decision deprived Network-1 of its due process right to contest this newly-raised factual issue by presenting evidence below. Dell Inc. v. Acceleron, LLC, 818 F.3d 1293, 1301 (Fed. Cir. 2016) (holding that due process, under the APA, requires patent owners have the “opportunity to present evidence” to contest newly alleged facts). And when, like here, the Federal Circuit finds its own technical facts based solely on attorney argument and without any record evidence, it is likely to get the facts wrong and distort the claimed invention into something it is not. Moreover, the Board had itself made a factual finding that Google’s construction was “not part of the ordinary meaning” in the field of “non-exhaustive search.” But, in conflict with controlling law, the panel did not acknowledge or defer to the Board’s factual finding. When the Board finds that “a certain term of art had a particular meaning to a person of ordinary skill in the art,” this is a “factual finding” that must be reviewed under the deferential substantial evidence standard. Teva Pharm. USA, Inc. v. Sandoz, Inc., 135 S. Ct. 831, 841 (2015); Perfect Surgical Techniques, Inc. v. Olympus Am., Inc., 841 F.3d 1004, 1012 (Fed. Cir. 2016); 5 U.S.C. § 706(2)(E). This deference is required for facts found based “on physical or documentary evidence or inferences from other facts.” Anderson v. Bessemer City, 470 U.S. 564, 574 (1985). The Board is a forum specifically designed to determine technical facts. “Federal Circuit judges lack the tools that [the Board has] available to resolve factual disputes fairly and accurately.” Teva, 135 S. Ct. at 838 (internal quotation marks omitted). When an appellate panel fails to acknowledge the Board’s factual findings and instead attempts to find facts itself, de novo, an error is more likely to result. That is what happened here, resulting in a construction of “non-exhaustive search” inconsistent with its meaning in the field. Because the panel’s decision is contrary to Supreme Court precedent and controlling Federal Circuit law, this case must be reheard or reheard en banc. For more information, feel free to contact the authors. Jung Hahm is Senior Counsel at Amster Rothstein & Ebenstein, LLP. A physicist by training, he concentrates on complex patent preparation and prosecution, post-grant USPTO proceedings, patent litigation, non-infringement, validity and patentability studies, patent portfolio management, international patent prosecution and licensing. For more information or to contact Mr. Hahm, please visit his Firm Profile Page. 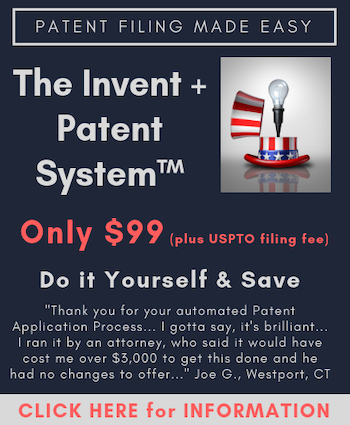 Obviously, this is notable in view of the PTO’s proposed rulemaking which “would amend the rules for IPR, PGR, and CBM proceedings … by replacing the current claim construction standard for interpreting unexpired patent claims … with an approach that is the same as the standard used by Article III federal courts following Phillips v. AWH Corp., 415 F.3d 1303 (Fed. Cir. 2005) (en banc).” Federal Register, Vol. 83, No. 90, 21222 (May 9, 2018). It would be very interesting if this petition and a subsequent petition for cert cause the Board not to receive this case back until after a rule changing the claim construction standard is implemented. An update on this. The Federal Circuit has invited Google to respond to the Petition for rehearing or rehearing en banc by June 1, 2018.